This utility will select all sheet tabs in your workbook. This can also be done in Excel by right clicking on a sheet tab and then choosing to select all sheets, but a lot of people don't know this. 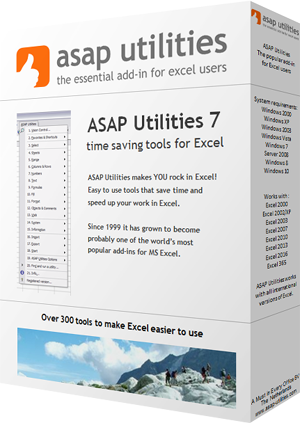 The advantage of this tool in ASAP Utilities is that you can assign your own shortcut to this action.